Meet Rupert! 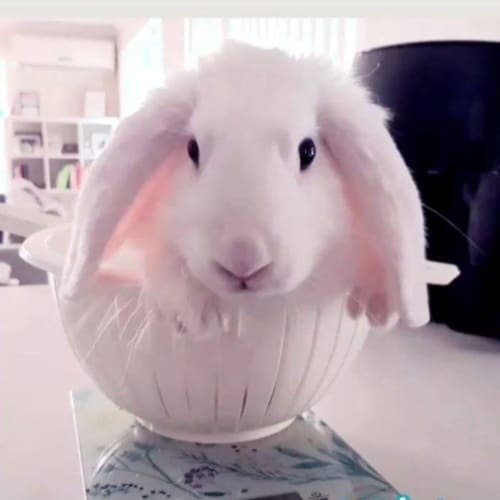 Rupertmwas saved from euthanasia last month Rupert and has gone from a terrified rabbit constantly hiding under towels and freaking out, to a binky-crazed lazy curious superstar! He has done a complete 180 turn around and is ready for a new home! 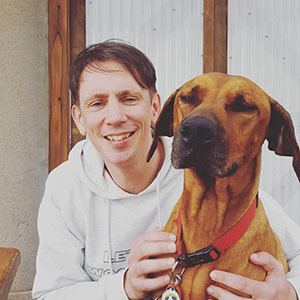 Rupert is a giant an he has A LOT of love to give. He nudges your nose with his, let’s you stroke his belly while he lays on his side and starts to fall asleep.. he is just a big baby ❤Literally he is paws up when you get home, gentle face sniffing and full of binkies when he gets cuddles; he has come so far in such a short time that he is going to be such an amazing family member 🥰🐇Rupert is an old soul and enjoys all foods in his far, he is 100% litter trained and will be a lovely tidy indoor house bunny. Rupert has not yet has his vet work done, but it'll be completed before he goes to his lovely new home. If you think you can offer Rupert a loving home, please contact us! 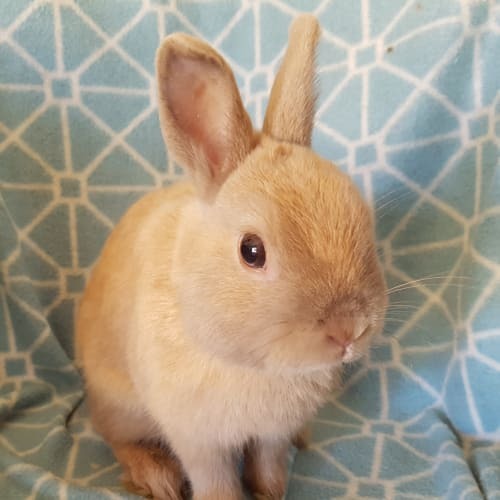 Missy is the most beautiful bun who was rescued from a large scale rescue in Girrawheen along with at least 50 other buns. She came into care pregnant and has since had 7 babies which have just hit 8 weeks old. She's ready to have a break from her babies and would love a furever home where she'll be spoilt with lots of pats and headrubs.Missy is litter trained and is food obsessed! Missy will be desexed, vaccinated and microchipped before she goes to her new home. She'll be ready sometime in the the next 6 weeks. 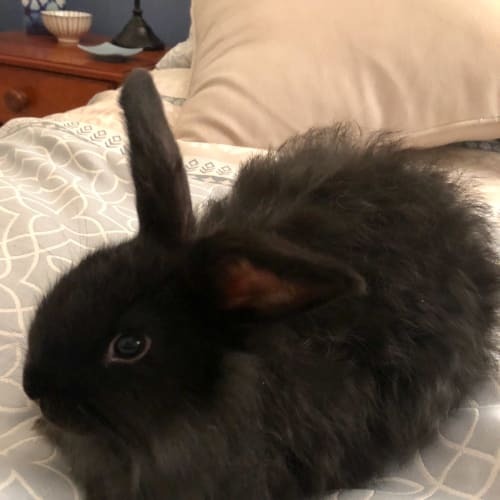 As you can see little Bowie is one very handsome bunny! Hard to believe he was out on the streets and was handed into a local vet as a stray. Unfortunately, his owners were never found and there was no microchip either. 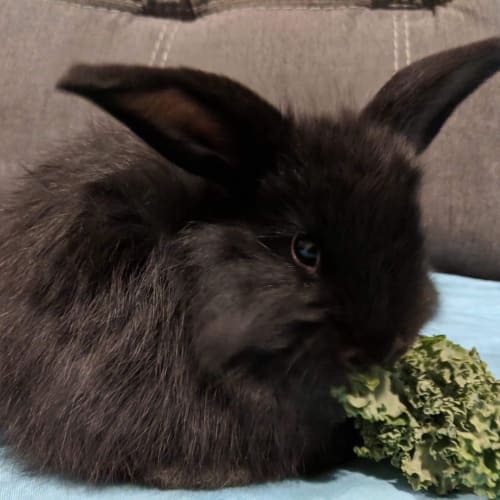 We were very lucky to get the phone call and Bowie has made himself at home very quickly at Lost Souls Rabbit Refuge!Bowie is in great condition and we estimate he is about 5-6 months old - He is small in size for a Dwarf Lop breed, only just hit 1.5kg weight goal this week! 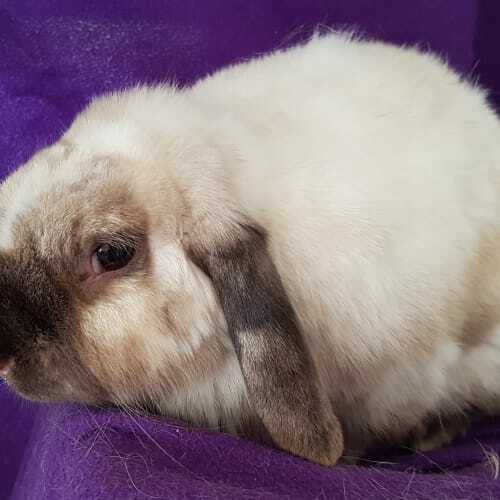 Bowie has been desexed, vaccinated and microchipped (included in the adoption fee) by The Unusual Pet Vets and had a thorough vet check too.Bowie is just delightful, he is a gentle soul and at times shy - He spends alot of time in my lap (asleep in a deep bunny dream) whilst i work away on the computer. When he free roams, he loves to explore and chin everything in his path! The binkies and zoomies this boy does when hes out free ranging - melts my heart! Even though Bowie has been through alot in a short life, he seems to be a happy bunny too. Oh, cat tunnels and carboard boxes are a MUST!Bowie isn't fussy with his food and has been on a good diet with plenty of fresh oaten hay, Vetafarm Rabbit Origins pellets, wide variety of vegetables and herbs plus some fruit too - His fave is a slice of granny smith apple and Smooshie Face Treats!Bowie is VERY VERY clean, with a high sided litter tray you hardly see a single poop or strand of hay out of the box. 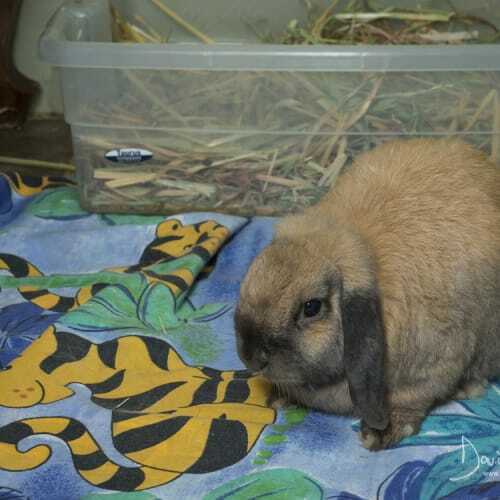 Bowie would suit being a single spoilt bunny or could eventually be bonded to a desexed female. We are looking for a lovely forever home for Bowie and know the right family is out there for him. 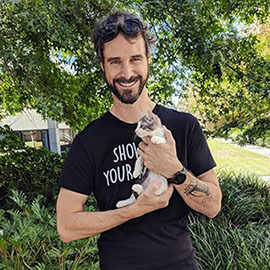 Ideally, we would be looking for a family where Bowie could be indoors and be apart of everyday living.Bowie's adoption free is $165 which includes desexing, vaccination and microchip at The Unusual Pet Vets. 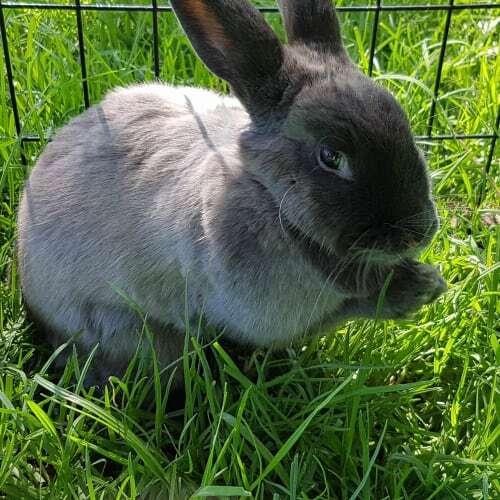 Swayze is a very handsome seal point bunny.Swayze can be quite independent and really enjoys his outside time and while an indoor base is ideal he would definitely love to spend some of his time outdoors (weather permitting of course!). 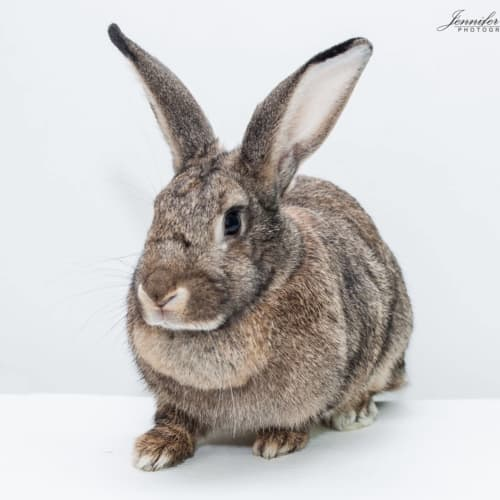 A place to dig outside would really satisfy his bunny urges, sandpits are a great option!Swayze is ok with cats and small, calm dogs and would suit a home with older children. He lives with Olivia in Bullsbrook so if you are looking for a pair of rabbits they these 2 are for you. You can call/text their carer on 0414268948 if you would love to meet them. 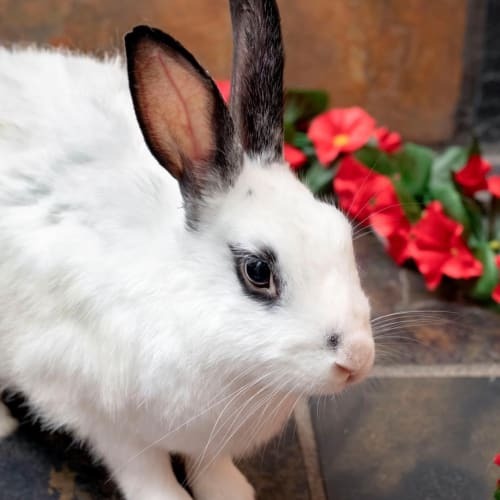 Pete is a confident bunny who was found and came in with his friend Hai Hai a domestic rabbit. They get on really well so they need to be re-homed together as are bonded. Having a friend is good company for bunnies as many people often look for another rabbit for their single rabbits as feel they need the company.Pete is curious and adventurous. They are best suited to a home with a single person, couple or family with older children. 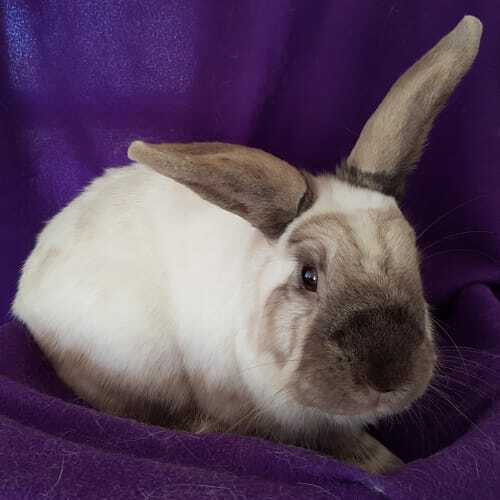 Olivia is a very pretty seal point coloured bunny.Olivia is quite independent and really enjoys her outside time and while an indoor base is ideal she would definitely love to spend some of her time outdoors (weather permitting of course!). 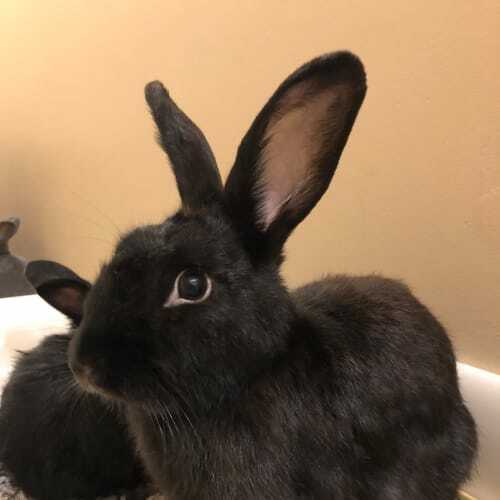 A place to dig outside would really satisfy her bunny urges, sandpits are a great option!Olivia is ok with cats and small, calm dogs and would suit a home with older children. 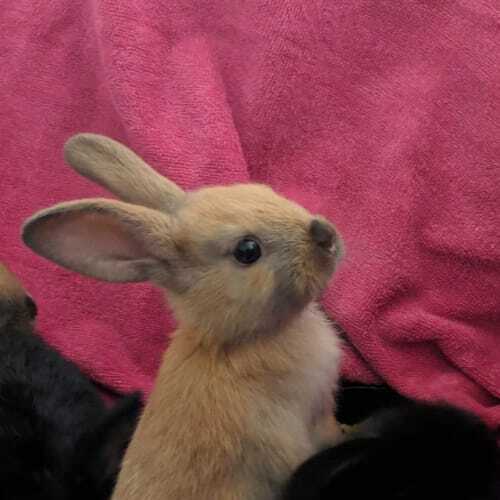 She lives with her bunny friend Swayze in Bullsbrook so if you would like 2 rabbits they would make a good pair. You can call/text their carer on 0414268948 if you would love to meet them.